Skeptical? Of Course! Give yourself a chance to discern the facts. The Evidence is real. Act 17:11 Now these were more noble-minded than those in Thessalonica, for they received the word with great eagerness, examining the Scriptures daily to see whether these things were so. If you were at first not skeptical I probably would imagine you are either ambivalent or do not understand the history of the creation of God’s word. 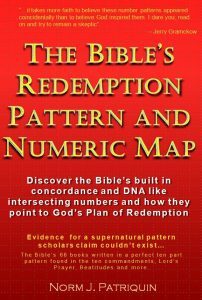 What eventually convinces us the Redemption Pattern and Numeric Pattern exist is the preponderance of evidence for it. It will take quite a bit of evidence to convince you the pattern exists or a lot of time pondering the evidences you do know about. They cannot see how God would possibly have done this when we know the Bible was written by men. There is a fear of numbers and/or a thought that such a major discovery would have been found long ago if it existed. We know that men can see patterns where none exist and this is likely a misperception supported by scriptures that only seem to support the theory. Some people reject the concept of God or Jesus so strongly they cannot be objective when examining the evidence. Let the facts convince you — If they are true then accept them. Try to determine that God can do whatever he wants and that you want to know the truth about this–Good or Bad. Then investigate the facts. Ponder what constitutes a coincidence — Certainly coincidences occur in scripture but don’t let the fact that coincidences can happen cause you to throw out evidence that is real. An example of how to go about evaluating coincidences might be to compare some of the 22 chapter 22’s of the Bible and see if their theme fits with Jesus the suffering servant. Every one of them fitting this theme can individually be a coincidence, but if 30-50 of them are clear matches and some larger percent also support the concept, consider the group of potential coincidences as a set. Could so many of them fit the theory? To help with this, you might go check out chapter 11’s or some other set of chapters to see if they would also fit the theme for 22. Set aside what you don’t understand — There is pleanty of evidence so don’t let proofs you do not understand cause you to reject them all. It seems just to be the way our mind works–when we don’t understand things we are tempted to throw out all the evidence. But diligence will be rewarded–consider setting the evidence you don’t understand aside and go on to examine other evidence. Remember, it is a preponderance of evidence that typically helps in seeing the possibility. Don’t try to evalute too many proofs–Take them one at a time if you are skeptical. Let the evidence lead you — First, find a single covincing evidence you really wonder about–one you suspect is not coincidence, but still can’t explain it. Maybe write it down. Then go on to investigate another plausable pieces of evidence. Like referenced verses–You might want to read some 3:16 verses from your Bible and note how they have meanings that are similar in nature. 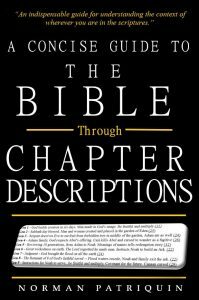 Like chapter number themes–Find a favorite chapter in the Bible and then go look at other chapters with the same numbers and compare themes. Go over the themes for the first ten chapters of multiple Books to see if they each appear to meet with the themes for numbers 1-10. Isa 55:8-9 “For My thoughts are not your thoughts, Nor are your ways My ways,” declares the LORD. “For as the heavens are higher than the earth, So are My ways higher than your ways And My thoughts than your thoughts.